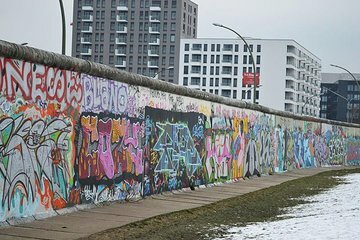 Berlin may have been the capital of the 20th century, being at the the epicenter of every history-making, world-changing movement and phenomenon. But this small-group tour takes you back 300 years to trace the roots of Prussian militarism that led up to the 20th century. Learn from the professional guide how Berlin became the world capital of culture, arts and tolerance. Visit the Tiergarten, the former Death Strip where the Wall once ran and Potsdamer Platz. Visit Potsdamer Platz, the Brandenburg Gate, and the former Berlin Wall, among many other sites. As architecture fans we particularly loved have an architect lead the three of us through Berlin. Great pace. We covered a lot of territory and learned a tremendous amount. And Dan left us at a delicious Italian restaurant for our lunch.